Are you looking for some information about Due Sorelle Beach? 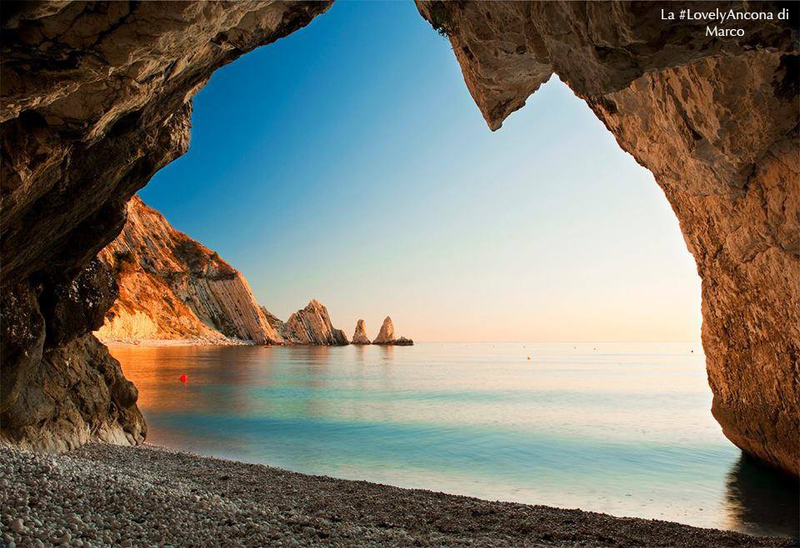 In our detailed and interesting article on the Conero Riviera (we suggest you to take a look at it if you still have not read it) we had promised you an article dedicated to this magical place as soon as the first sun would be sprung. We are feeling that the heat is coming and so here we are to tell you one of the most special places of our Conero Riviera. Read on to discover everything you need to know about these two white rocks, where they are, how to get there, and especially how to enjoy them. This white beach suspended between the Conero wild green and the blue fragrant sea is definitely one of the top places to visit if you are holidaying in the Conero Riviera even for few days. It happened several times to us to talk with people and friends who had come here for vacation, they had heard about it, but for lack of information they have never managed to get there. This article, therefore, borns to prevent this from happening again as there are few places so special. The Due Sorelle Beach is located in Sirolo. Looking at it from the sea it is exactly between the beautiful Sassi Neri Beach and the equally beautiful and almost always empty beach of Cava Davanzali. Small aside you could be interested in: the Cava Davanzali Beach is so named because here was the quarry to extract the white Conero stone and traces of the train rails that reached the pier are still visible today. The interesting thing to know, though, is that the Due Sorelle Beach is not in any way (or almost, still reading you will understand) accessible by land, the only solution then, is the sea. 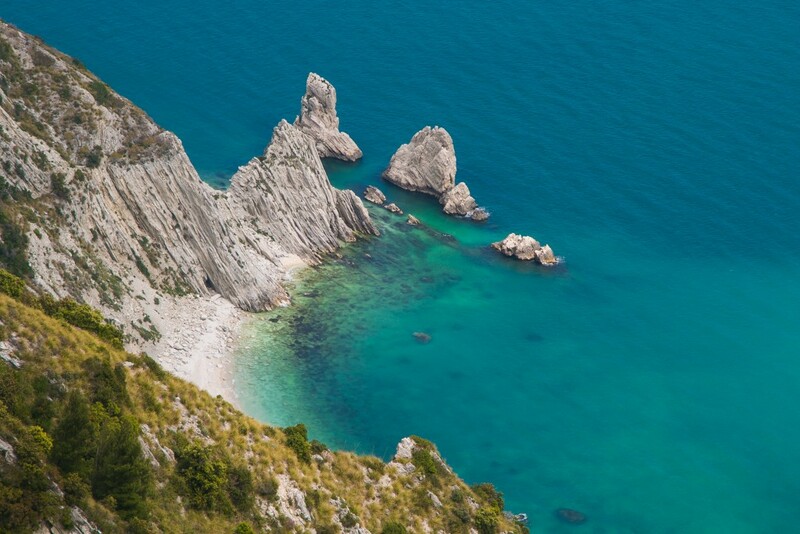 How to get to this beach is one of the most frequently asked questions, both online on Lovely Ancona and when we are lying down on the beach in Sirolo. There would actually be a narrow road which, starting from the top of the Passo del Lupo it reaches the Due Sorelle Beach, but a city ordinance prohibits the access to this path, which is actually not very safe. For your safety so we can not really recommend this option. The first one is to take the boat of Traghettatori del Conero. they arrange daily trips from the port of Numana and from the beaches of Marcelli and Sirolo; the cost of the ticket is about 20€ per person. 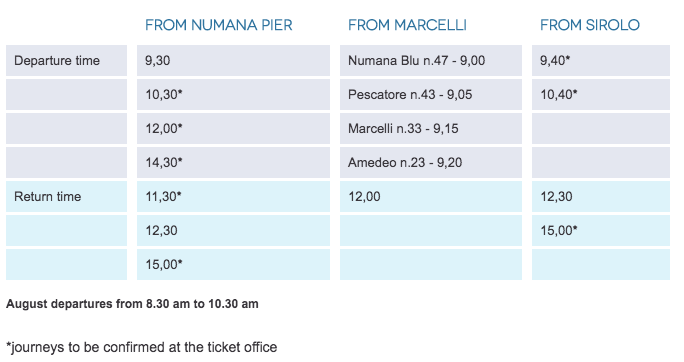 In the table below you can see the scheduled trips by boat to the Due Sorelle Beach. This option is very convenient but as you can imagine, you will not be the only one in the boat and so once you get off the Due Sorelle Beach, the risk is to find yourself in a crowded beach, perhaps at the risk of not being able to fully enjoy the charm of this place. Second option: you can rent a small motorboat from the port of Numana for a half day or a full day. There is no need for any type of license and the boat can host up to five or six people. This gives you the opportunity to stop at the Due Sorelle Beach when there are not too many tourists around and to explore all the beautiful beaches and hidden coves of this stretch of coastline. The last option, which is also the most green and sustainable is the one that usually we choose ourselves. We rent a kayak at Sassi Neri Beach and so in less than half an hour we are immersed in the wild spectacle of this beach, a treasure to preserve and protect. In this beach there are no facilities so we suggest you go sufficiently organized. Bring along something to eat and above all the water! Another way to enjoy the spectacle of the Due Sorelle Beach is to take a walk on the Conero Regional Park and to reach the Passo del Lupo viewpoint. Directions on how to get here can be found in this article about Passo del Lupo. Once at the top, we are sure you will love the view in front of you! You’ll find yourself overlooking the Due Sorelle Beach while on the right you will admire the blue sea, the white Sassi Neri Beach and the small village of Sirolo perched on the hill. 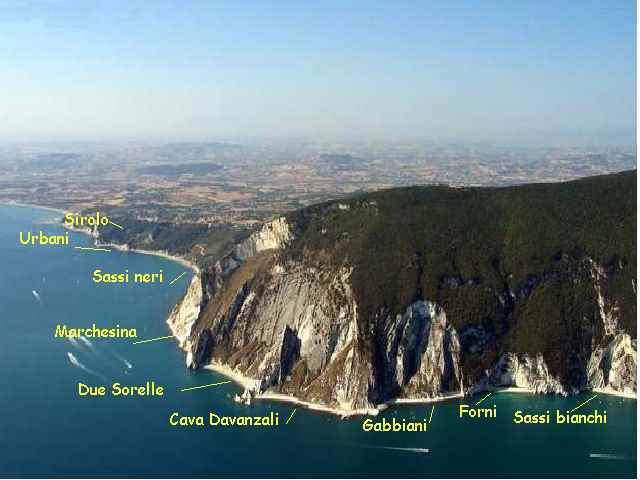 We have shown where the Due Sorelle Beach is, how to get there and how to enjoy it from the top. These are all certainly very useful information but that anyone who lives around here could have given easily. Thus, to put the icing on the cake we’ll reveal you a couple of curiosities unknown to many people. On a cold stormy night in 1962 a merchant cargo flying the Lebanese flag called the Potho wrecked right off of this beach; Today a part of its remains are still visible about ten meters deep. And then… it is precisely in this beach that in the late autumn and early winter you can observe the magical show of octopuses’ reproduction. With this romantic conclusion, we hope to have helped you find out everything you needed to know to plan your visit to the Due Sorelle Beach, but if there is something more you want to know just contact us, we will be happy to help you!